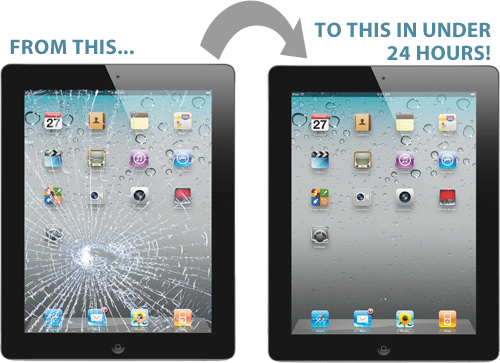 iPhoneBits service center in Belfast is the ultimate destination for making your damaged iPad device perfect again! The following are the different models of iPad devices we specialize in repairing. 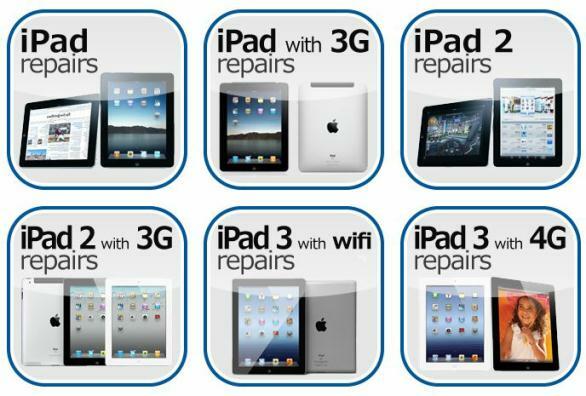 We are the perfect choice for professional iPad technical service and fast iPad repairs. We are available to help you, and repair or resolve your Apple iPad problem 7 days a week and extend our independent iPad repair service to Apple iPad users throughout Belfast and the United Kingdom. We operate on NO FIX –NO FEE policy. Has the backlight of your iPad device stopped working? Are you unable to see the content on the screen of your device in the dark? Nothing to worry! iPhone Bits specializes in repairing the backlight problems of your iPad devices. Avail our services now! If the battery of your iPad device is completely dead or not at all functioning properly, it can be repaired or replaced with the new one at iPhone Bits Service Center in Belfast at a very reasonable price. Are you facing problems with the Dock Connector of your iPad device? Is it unable to properly detect or sync the data from external devices that are connected to your iPad or unable to charge the battery? No worries whatsoever! iPhone Bits specializes in the repair of faulty Dock Connectors enabling them to detect every external device connected through it to your device. Is your iPad device showing some strange codes on the screen? Well, there is no need to panic! iPhone Bits Service Center has come up with excellent solutions to these kinds of error codes to fix them successfully. Avail the Error Code Diagnostics Service now and make your device error-free! Is your iPad not working properly? Are you unsure about what the actual problem is? Well, consider your problem solved. iPhone Bits Service Center provides you with fault diagnosis service which enables us to recognize the actual problem causing improper functioning of the iPad and thereby enabling us to apply the necessary remedies. Is your FPC Connector 1 or FPC connector 2 broken while changing your screen of your iPad device? Are you facing any other problems with both the FPC connectors? Nothing to worry as iPhone Bits specializes in repairing FPC connectors of iPhone devices. Is either of the front or rear camera or both the cameras of iPad Device not working? Not to worry anymore! iPhone Bits Service Center Camera repair service helps you get the various issues of your iPad camera solved easily. Are you facing any issues with the LCD or the touch screen of your iPad touch device? Then it’s time to say bye to those problems by availing LCD and touch screen repair service at iPhone Bits service center! Has your iPad device been accidentally spilled with or brought into contact with water or some other form of liquid? It may affect its performance and cause some damage to the device. iPhone Bits specializes in repairing the iPad devices that are affected with water or any liquid damages. Is your iPad device unable to detect the SIM card though it is a valid one? Then the problem is with your SIM card reader. But you have nothing to worry if you avail the services of iPhone Bits Service Center as it specializes in repairing the faulty SIM card readers of iPad devices. Is the Wi-Fi on your iPad device showing no signal? Is the Bluetooth function in your iPad device not working properly? Well, you have nothing to worry! iPhone Bits specializes in fixing this problem and enabling your device to achieve excellent Wi-Fi signal and full functioning of the Bluetooth option. If you have left your device with us for repair, you can check the status of the repair in real time at tracker repair. All you have to do is just enter your work number and the last 4 digits of your telephone number!